Protein-protein interactions are the basis of cellular structure and function, and understanding these interactions is key to understanding cell life itself. Dr. Alessandra Carbone and her team continue to analyze data on these interactions from the Help Cure Muscular Dystrophy project, and they recently published a new paper to contribute to the body of knowledge in this field. 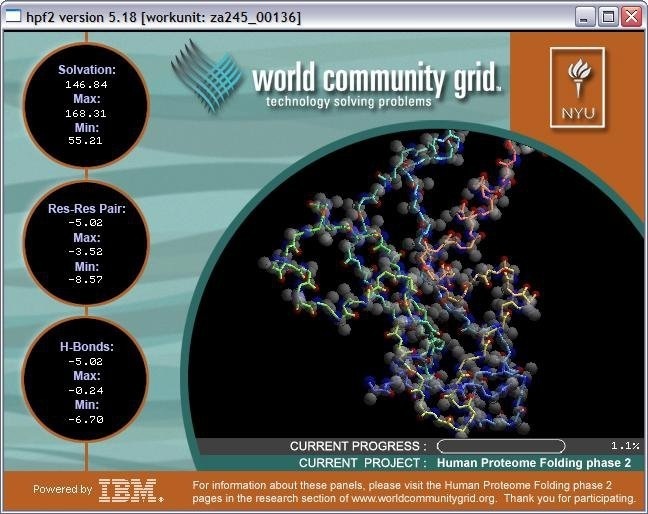 Dr. Alessandra Carbone (principal investigator of the Help Cure Muscular Dystrophy project) and team have published a paper entitled “Hidden partners: Using cross-docking calculations to predict binding sites for proteins with multiple interactions” in the journal Proteins. 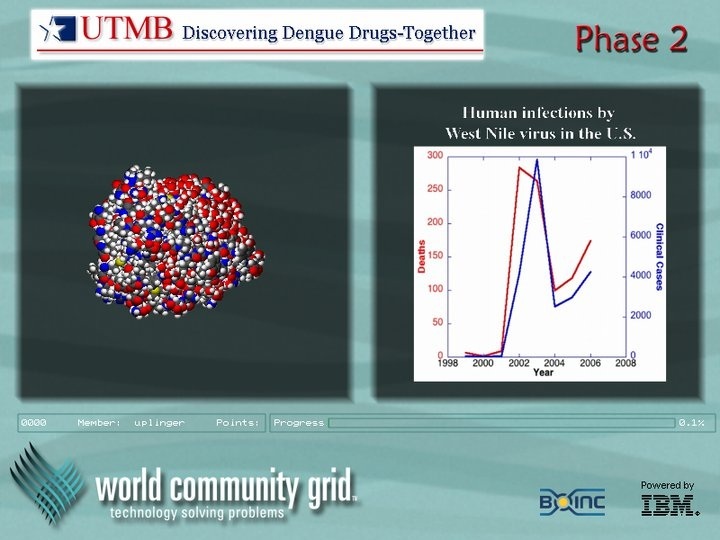 Protein interactions are the basis for most biological functions. How they interact with each other and other compounds (such as DNA, RNA, and ligands) in the cell is key to understanding life and disease functions. Complicating things, proteins often interact with more than one other kind of protein. 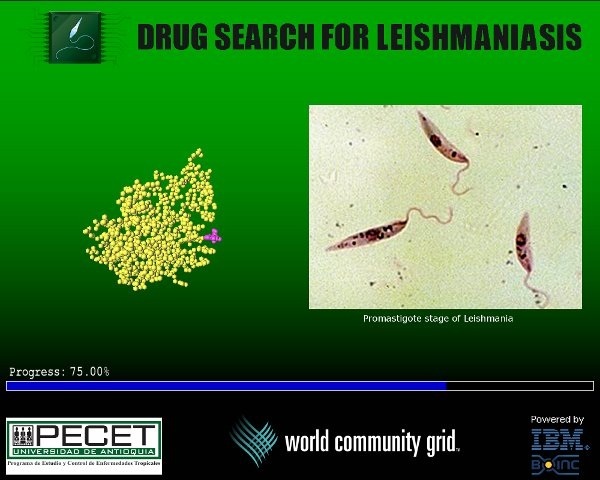 To better understand protein functions, tools are required to uncover these potential interactions. Different parts (surfaces) of the protein can be binding sites that attract another protein. This paper describes a methodology the research team developed to better predict these alternative binding sites. 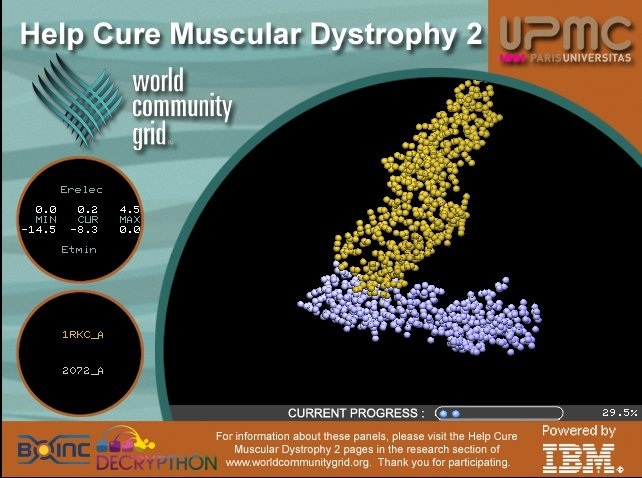 A subset of the Help Cure Muscular Dystrophy project data was used to validate their technique, which will be subsequently applied to the whole dataset computed via World Community Grid. 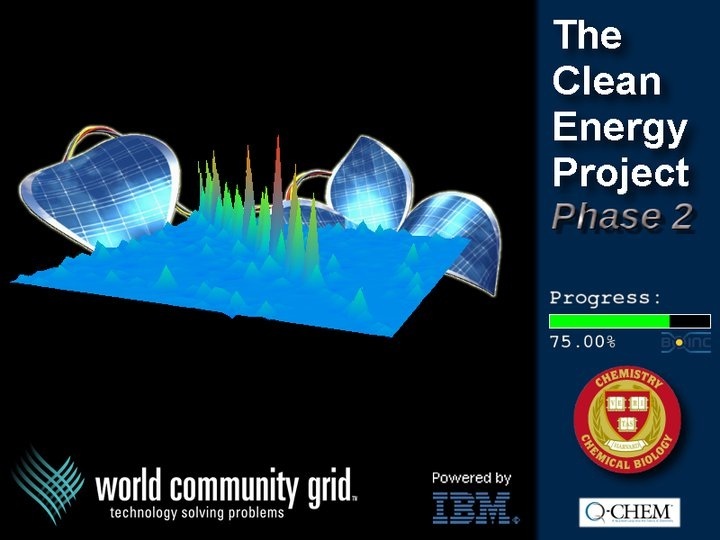 WCG projects run on BOINC software from UC Berkeley. 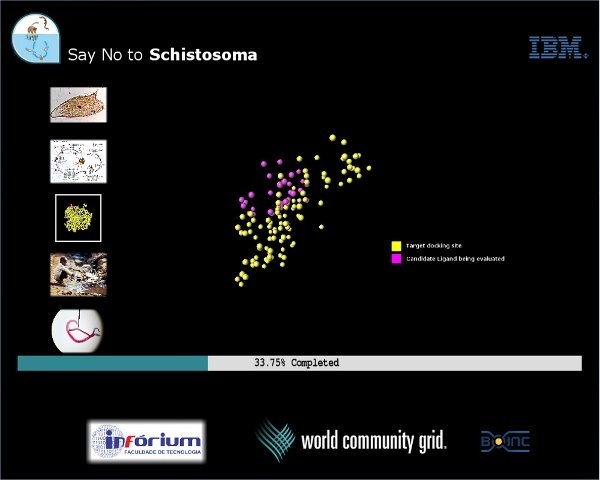 BOINC is a leader in the field(s) of Distributed Computing, Grid Computing and Citizen Cyberscience.BOINC is more properly the Berkeley Open Infrastructure for Network Computing. CAN ONE PERSON MAKE A DIFFERENCE? YOU BET!! “Download and install secure, free software that captures your computer’s spare power when it is on, but idle. You will then be a World Community Grid volunteer. 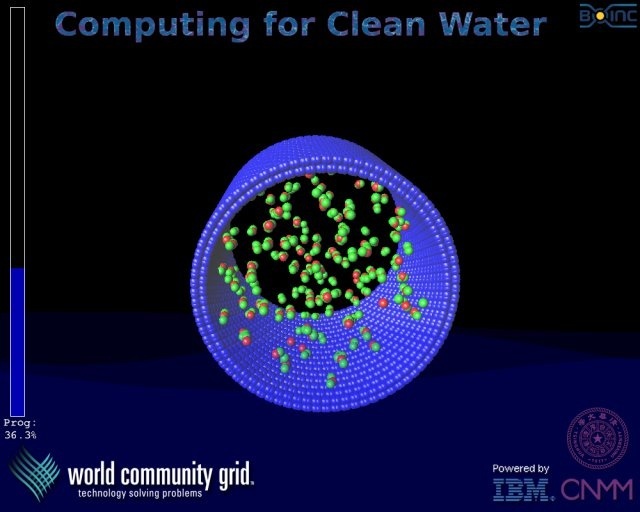 It’s that simple!” You can download the software at either WCG or BOINC.